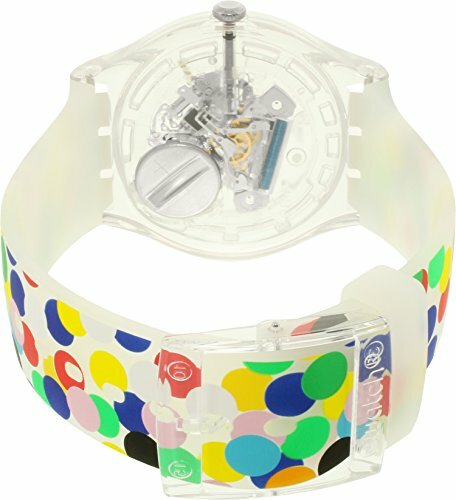 Translucent plastic case with a clear (multi-colored dot) plastic strap. Fixed translucent plastic bezel. 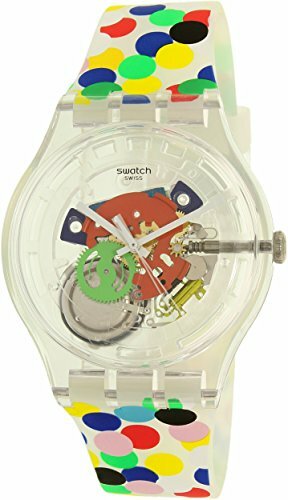 Transparent dial with white hands. No markers. Dial Type: Analog. Quartz movement. Scratch resistant plexiglass crystal. Pull / push crown. Translucent case back. Case size: 41 mm x 47.40 mm. Case thickness: 9.85 mm. Round case shape. Band width: 20 mm. Tang clasp. Water resistant at 30 meters / 100 feet. Casual watch style. 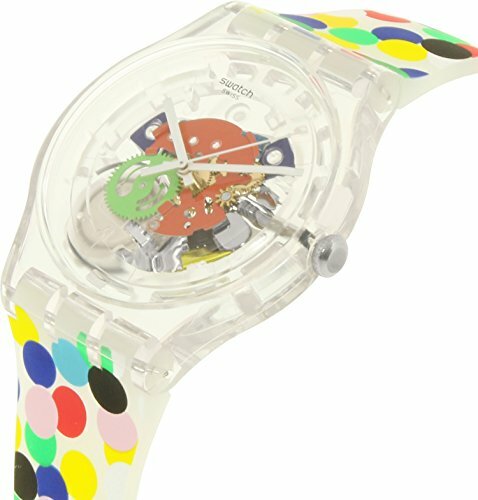 Swatch Spot The Dot Unisex Watch SUOZ213.